우리의 답장으로 함께 하고자 합니다. 앞으로는 용군인에게 보내고 싶은 말이나 그림을 보내는 편지 게시판으로 사용됩니다. 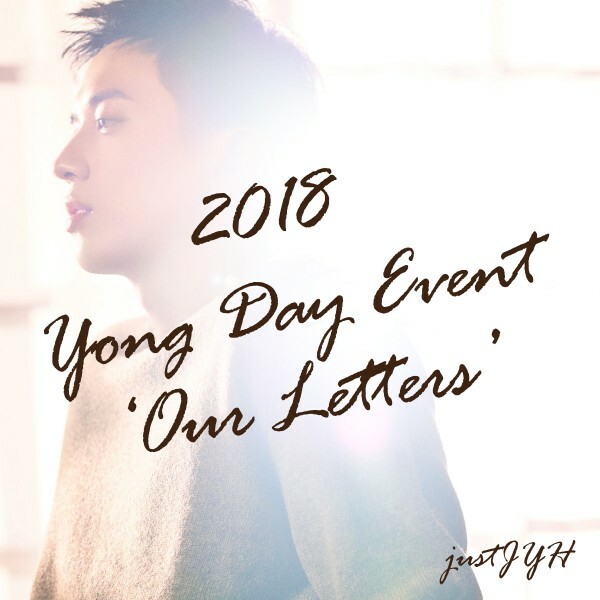 For 2018 Yong Day, we'll write him 'Our Letters' as responses to his. 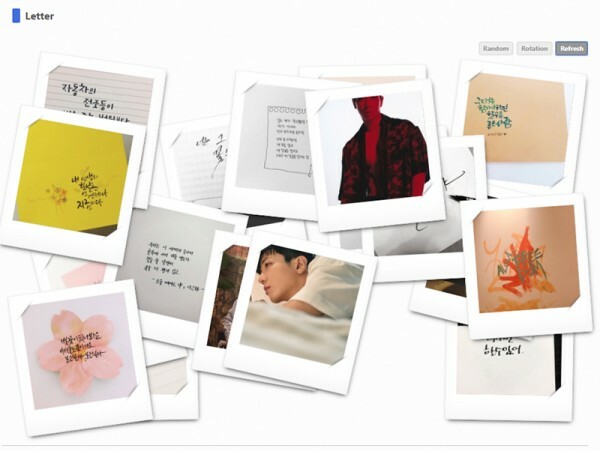 and as a place to send photos and messages to Yonghwa whlie he's in the military thereafter. 제목과 함께 준비된 첨부 사진을 업로드 해 주세요. 아래 두 가지 가운데 아무거나 참여해주시면 됩니다. 6월 22일 하루동안 참여하신 분들 가운데 추첨을 통해 소정의 선물을 보내드립니다. and upload the photo with a subject. The resulting post will be anonymous. The event will start at 0:00 on June 22 and end at 23:59. You can choose either or both of the events to participate. Which keyword comes to your mind when you think of "Jung Yonghwa"? 폰 메모장, 그림판, 포토샵 무엇이든 좋습니다. 이밖에도 전하고 싶은 생일 축하 메시지가 있으시면 자유롭게 써 주세요. or use your phone's memo app, paint tool, photoshop, or anything. Tell us what's the word that comes to your mind. and any other messages like birthday wishes as you like. 이제까지 용군인에게 보낸 편지 실물 사진을 올려주시면 됩니다. 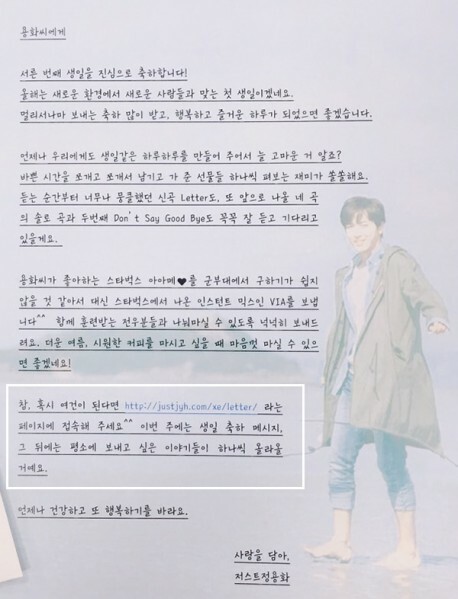 You can post photos of your letters to Yonghwa in the military. 반드시 이미지를 하나 첨부하고 삽입해 주셔야 게시판에 보입니다. 포스팅 하나에 되도록 한 장만 올려주세요. but you have to attach a photo to have it shown on the board. Please post just one pic per post! With more posts over time, it will look like the below example. 로그인 하지 않아도 보기 쉽게 공개해 두었습니다. It's open for anyone to read, so he could easily read the messages. 그럼, 이 곳에 용군인에게 우리의 '러브 레터'를 보내볼까요?? 이벤트는 6월 22일 0시부터 오픈됩니다! Shall we send him our "love letters" here? The event opens at 0:00, June 22!